English 9 – Unit 9: Natural Disasters – Lesson 5: Language Focus - - In this lesson, you will practice with relative pronouns and relative clauses. - By the end of the lesson, Students will be able to further practice with pronouns: who, that, which and clearly identify defining and non–defining clauses. 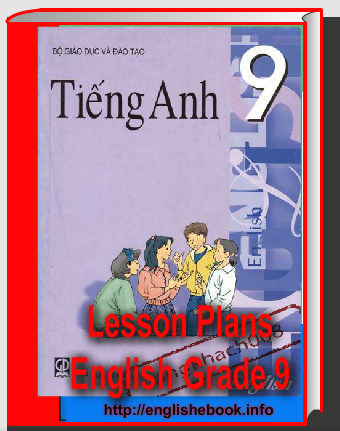 English 9 – Unit 8: Celebrations – Lesson 5: Language Focus - For centuries, poets, writers and musicians have mentioned the ao dai in poems, novels and songs. The ao dai is the traditional dress of Vietnamese women. It consists of a long silk tunic that is slit on the sides and worn over loose pants. English 9 – Unit 9: Natural Disasters – Lesson 1: Getting started, Listen and Read - 1. Thuy's grandmother wants her to turn up the volume on TV because she wants to listen to the weather forecast. 2. It will be raining along the coast of Thanh Hoa. 3. The central highlands will experience thunderstorms. 4. Ho Chi Minh City will have tempretures between 27 o C and 35 o C.